I’m totally in love with these tiny sumo wrestler bowling pins. Your kids are sure to get a kick out of setting the little wrestlers up, knocking them down, and watching them roll around…again and again. Simple craft, big fun! Got some empty cereal boxes? 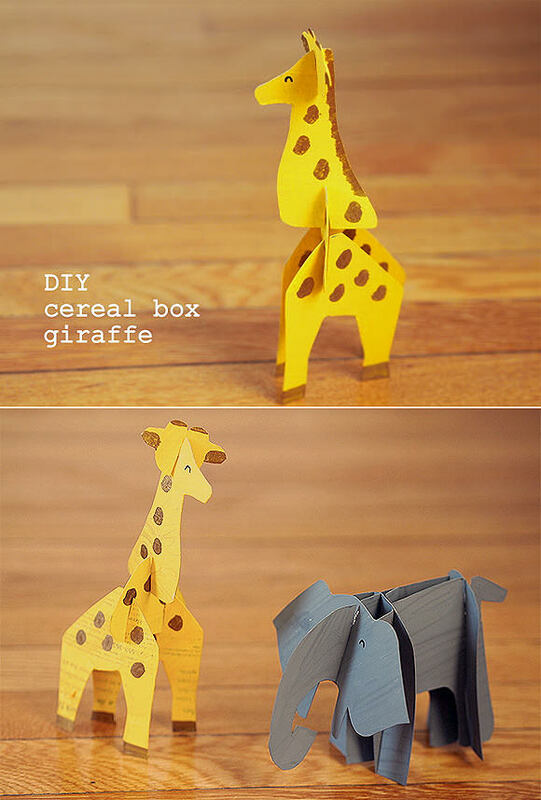 Why let all that cardboard go to waste when you can reuse it to create your own zoo? Stronger than paper, cereal boxes provide the additional stability your little animals need to stay on their feet. 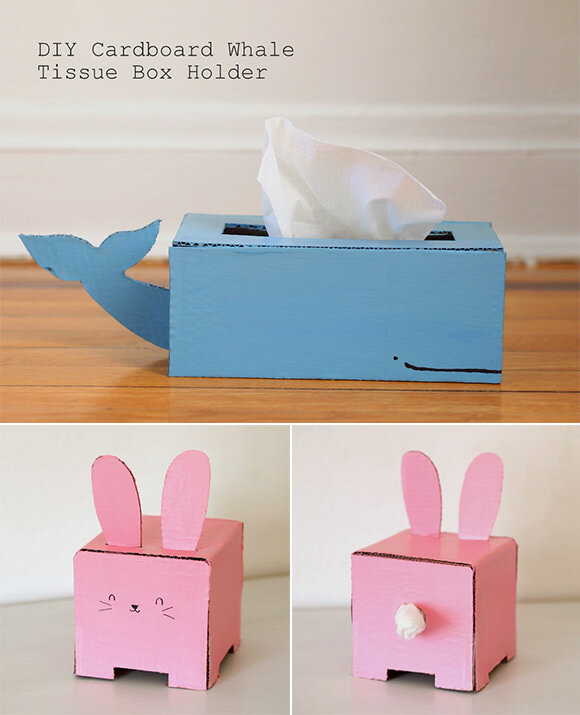 These cute and colorful tissue box holders are the perfect craft to cheer up your little ones during sick days. But why stop at whale and bunny? Encourage them to use their imagination and create animal shapes of their own! 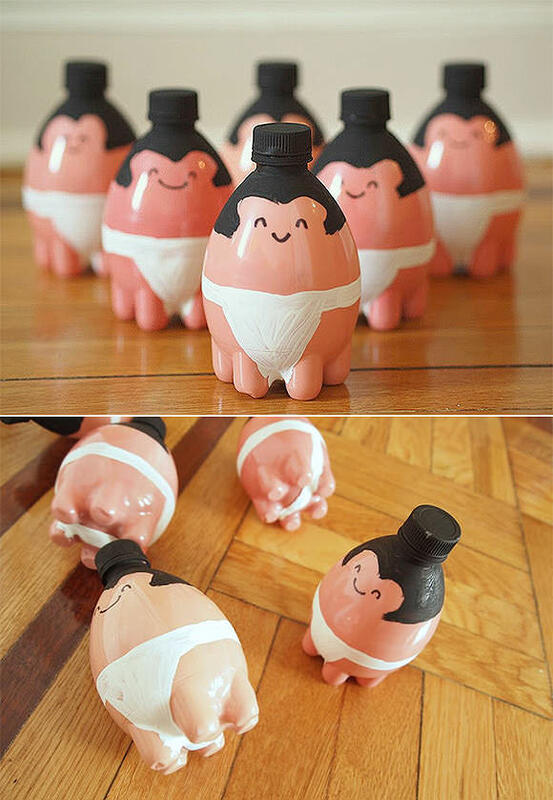 The sumo bowling pins made me laugh – what a creative idea! The sumo bowling pins are great!!! I have to keep bottles!!! Oh my goodness! I LOVE those Sumo bottle pins, adorable. Why can’t all recycled craft be this fun? I’m so grateful that you curate such great selections. Thanks!